Escape the noisy pollution of the city centre, take a long vacation, and enjoy a relaxing hot bath at these hot spring resorts in Malaysia. Looking for an amazing retreat for your upcoming vacation? Instead of the usual shopping, tourist attractions, or food tour, look for something different for your holidays. A good start would be staying in resorts or accommodations that let you take a dip in the hot spring and admire the surrounding nature. There are many such resorts in Malaysia. Check out the hot spring resorts below and book your accommodation for a peaceful retreat away from the city centre. 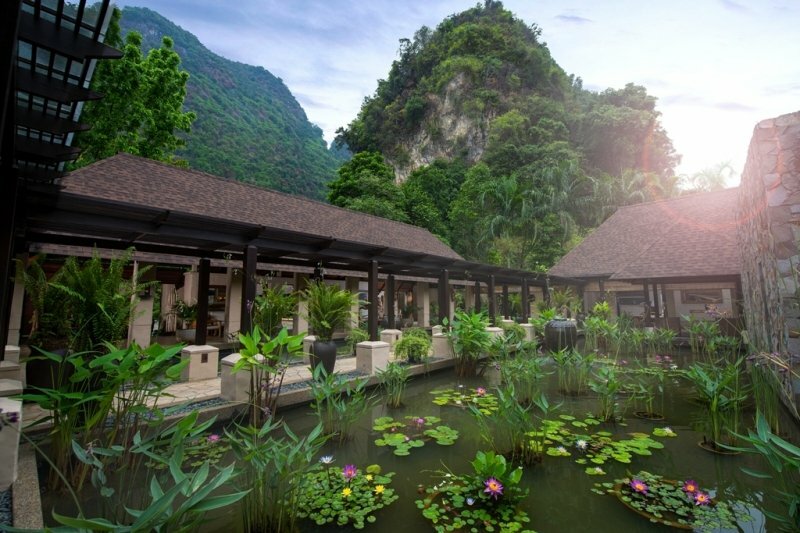 Ipoh’s famous hot spring resort is none other than The Banjaran Hotsprings Retreat. Many tourists, foreign and local alike, come here to experience the geothermal hot springs and luxurious accommodations. Only adults and kids above 12 years old are allowed access to the geothermal pools. You can meditate by the pool, take a dip in the hot spring, or dine in one of the restaurants with a panoramic cave view. There are three different villas for you to stay in, the Lake Villa, Garden Villa and Water Villa. Pamper yourself at the sanctuary and get as close to nature as possible. The waterfalls, limestone hills, natural caves, and rainforest are the perfect natural surroundings for you and your family to unwind. The limestone hills are the main attractions as they’ve been around for 260 million years. So go ahead, cast your worries aside and enjoy! Do you know that Bentong has its own hot spring, which is not just a tourist attraction but a popular retreat among locals? 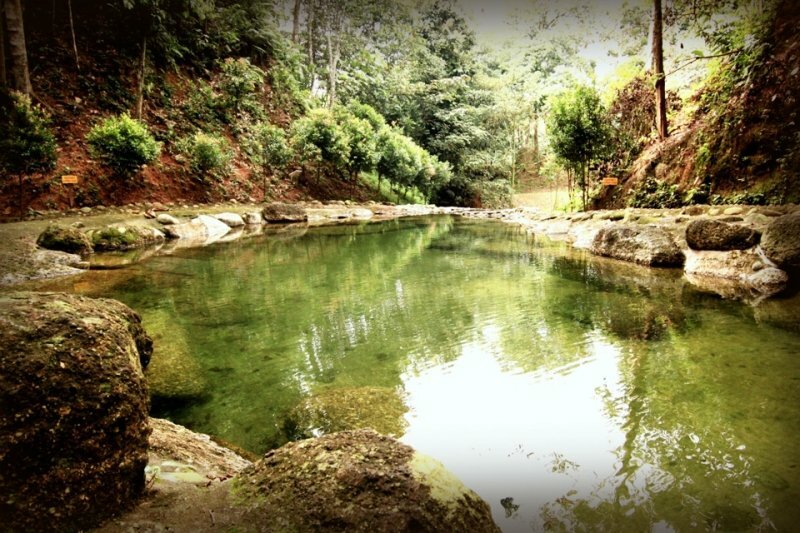 Located in the state of Pahang, Suria Hot Spring Bentong is an amazing hot spring retreat for all age groups. It is usually packed on weekends and public holidays, so you need to book your accommodations in advance before you start your journey. You can enjoy the stunning view of the Bentong rainforest while you are there. There are also private pools for guests who want more privacy. 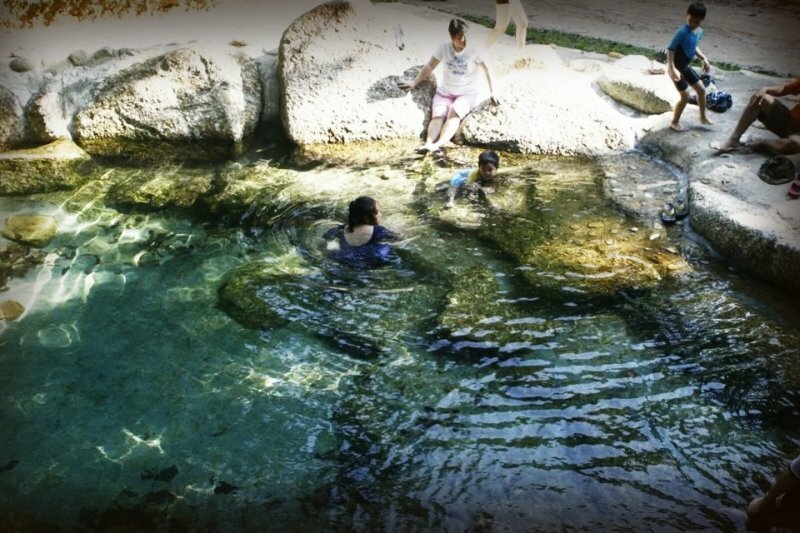 Children and visitors who can’t stand the temperature of the hot spring can opt for the cool water spring too! You can only access the pool if you book one of the villas. 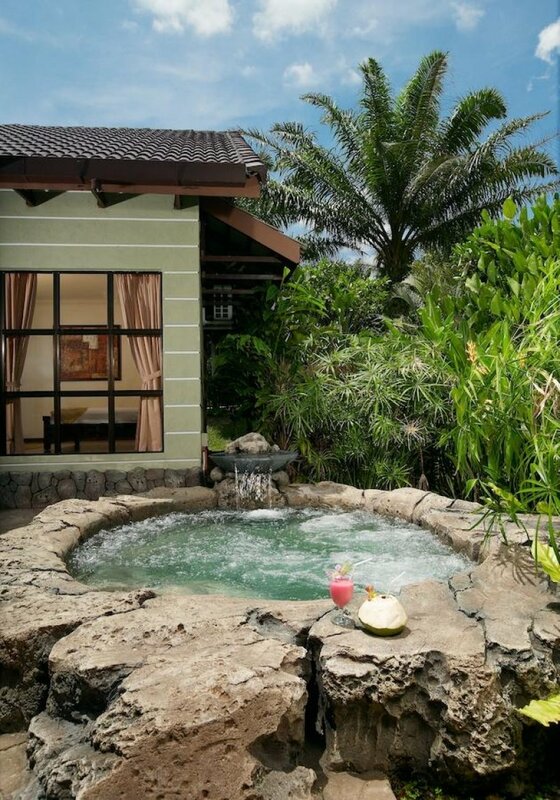 Among the types of rooms at the resort are Jacuzzi Villa, Deluxe Twin, Deluxe Quad as well as Deluxe Triple. 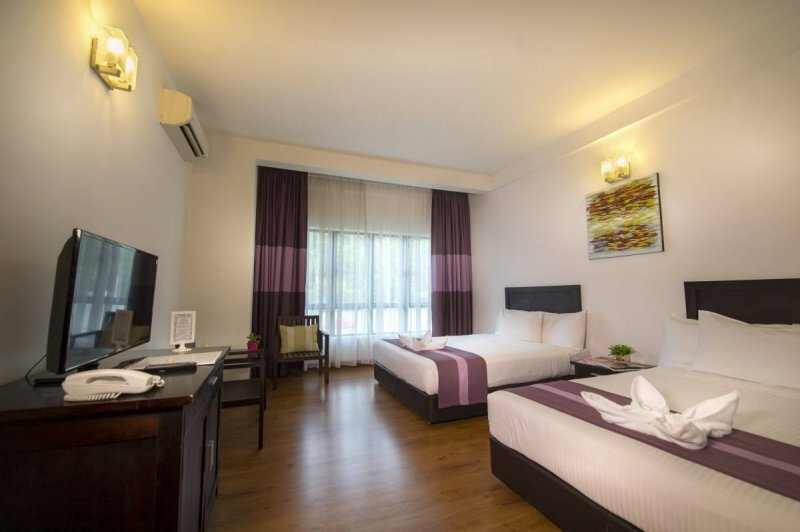 When it comes to the facilities, you can make full use of the safe deposit box, surau, swimming pool, children’s playground, WiFi, mini refrigerator and TV. In the evening, kids and families can enjoy in a wide range of outdoor and indoor activities such as cycling, chess, ATV ride, etc. Now it’s time to head to Refreshing Springs Resort located in Selangor. The nature-inspired facilities and the accommodations at this resort are excellent. Here, you will find homey establishments cradled by lush green trees and grass in the surroundings. It’s a great place for families to spend some quality time outdoors and for kids to run around under the sun. Whether you are staying in one of the dormitories, studios, quads, chalets or twins, you will find this resort to be an escape from the hectic city life. 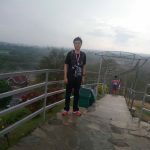 Aside from the hot spring, the activities you can do include wall climbing, paintball, flying fox and telematch games. You can also request to use the basketball court, herbal garden, or any of the halls for special functions. 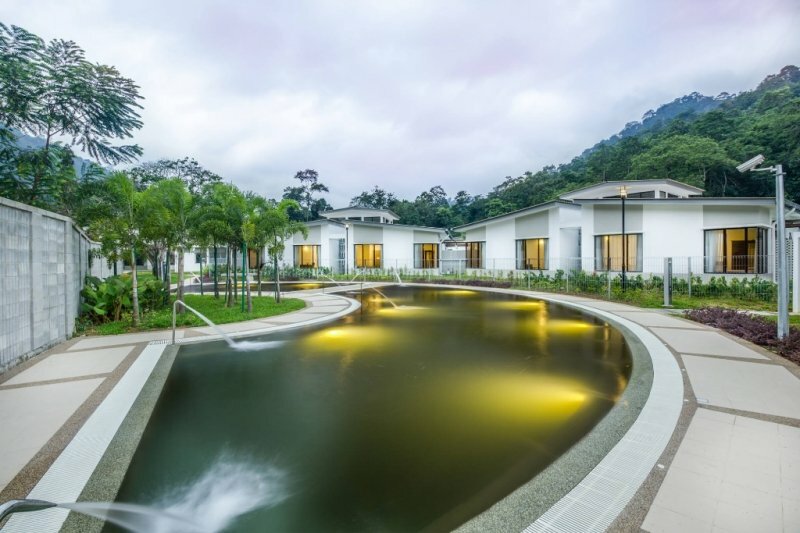 The Banjaran Hotsprings Retreat is not the only hot spring resort in Perak. 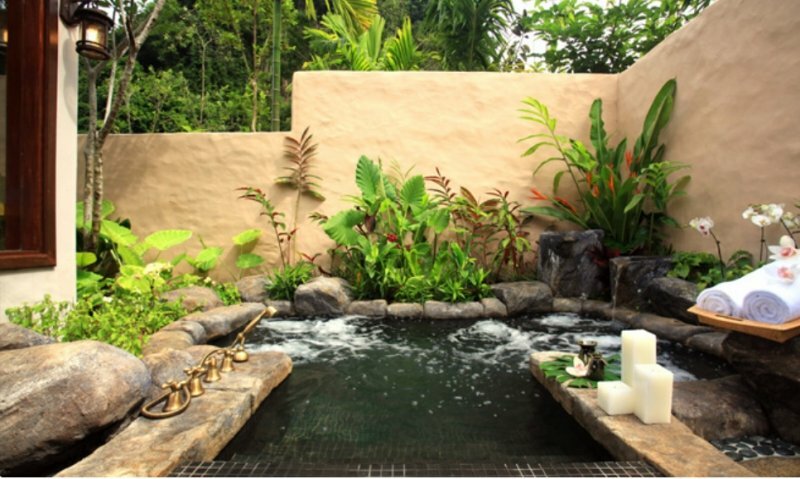 Felda Residence Hot Springs needs to be on your bucket list too. It’s an underrated hot spring resort in Malaysia because it’s located away from the city. To reach it, you need to pass by the Sungai Klah Felda Village. 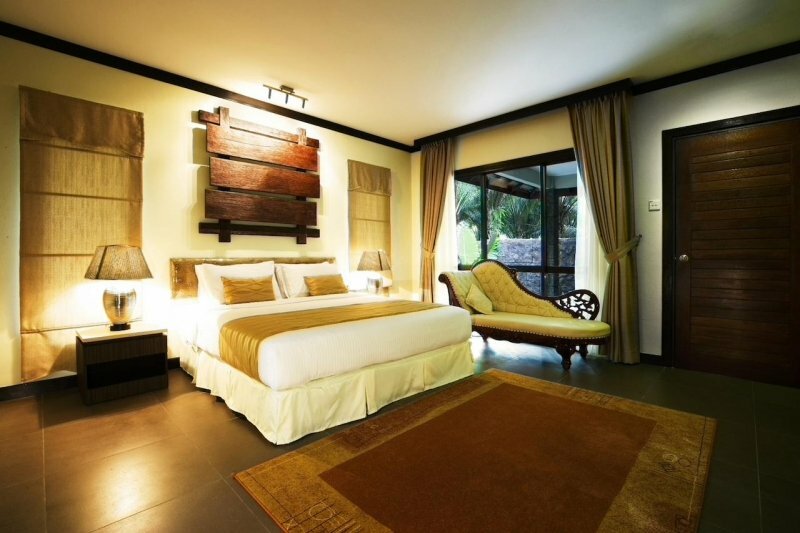 Forget the usual spa centres, in Felda Residence, you can choose comfortable accommodations from villas to deluxe rooms. Each private room has air conditioning, ironing facilities, and even a TV with satellite channels. Not only does the resort provide one of the most relaxing hot spring baths, it also has an outdoor pool, massage treatments, and bicycles for rent. The whole area is surrounded by tranquil greenery which adds to the forest-like atmosphere that quickly calms the mind and spirit. It’s the ultimate getaway from your everyday work routine. Here’s one to look forward to! KSL Hot Spring Resort is slated to open this coming June 2018. Located in Johor Bahru, it will be easily accessible from Singapore by various public transportations. To ensure that guests have the best experience of their hot spring, they constantly measure the temperature of the groundwater yield with a portable metre. Apart from the hot spring, you can also enjoy other relaxing facilities such as the sauna and spa. There are different types of hot springs throughout Malaysia. 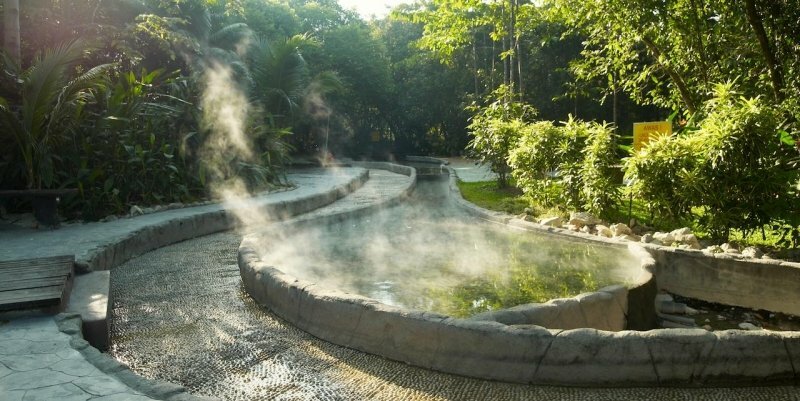 Whether it is a natural hot spring or an artificial one, it’s definitely beneficial to your health physically and mentally. Relax your mind, dip your body into the hot water, and calm your spirit. These resorts will always welcome you and help chase your stressful days away. SIGN UP & BE THE FIRST TO KNOW! TripZillaSTAYS menyediakan informasi akomodasi pilihan untuk semua tipe traveller. Kami percaya kalau pilihan akomodasi yang benar bisa menjadikan liburan lebih berkesan tetapi sebaliknya, akomodasi yang tidak tepat bisa merusaknya. Dapatkan rekomendasi akomodasi yang tepat untukmu dari para ahli berlibur hanya di TripZillaSTAYS! Error encountered. Please fix the fields highlighted in red.